It’s March Meet The Maker over on Instagram and today’s prompt is How It’s Made. 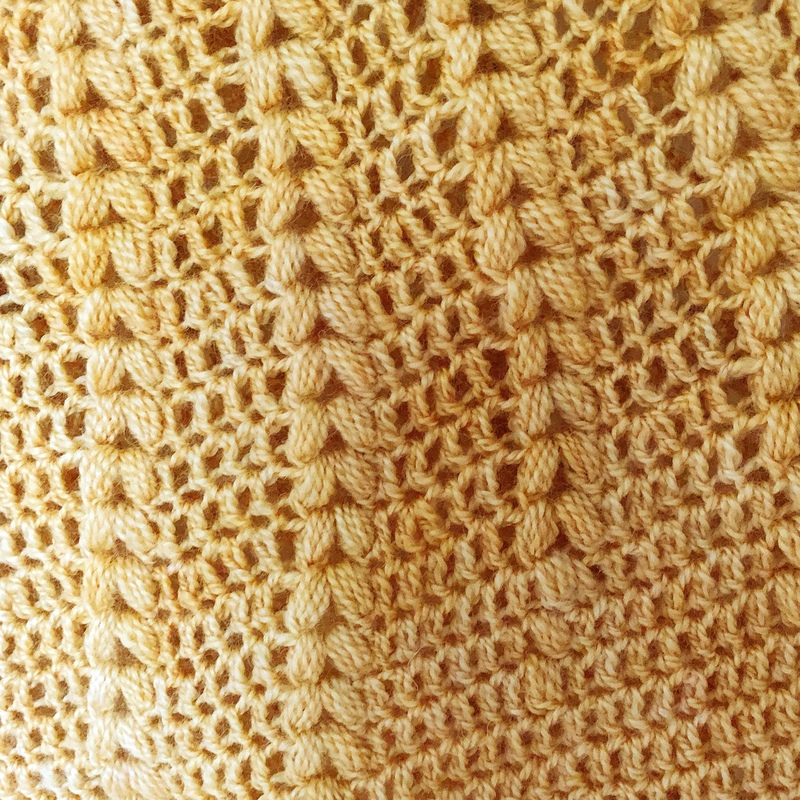 I’m making a gorgeous crochet sweater with some Bluefaced Leicester wool which I’ve dyed with onion skins, so I thought I’d explain how to dye your own wool with onion skins. The first step is to collect your onion skins. I use the onions with the golden skins rather than the ones with the red or white skins. It’s difficult to say how many you will need but I generally find, when it comes to plant material for dyeing, more is more! When you have an ample amount of onion skins, pop them in some cold water and slowly heat. Don’t be tempted to give it lots of heat to try to speed up the process. You’ll end up with brown. I test how hot the water is getting by holding my hand against the side of the pan. If it’s too hot to do that, you need to turn off the heat. After gently heating for an hour or two, I turn off the heat, wrap the pan in towels to keep in the heat and leave it for 24 hours. The next day, I assess the colour I’ve extracted. If I think there is more colour in the skins I repeat the slow heating process and leave the dye pan for another day. Once I think the colour is ready, I pour the mixture through a nylon sieve to remove the soggy onion skins. Leave the skins to drain over the dye pan for a few minutes to catch every last precious drop of colour. In the meantime, soak your wool in some water for at least a couple of hours. I have slightly acidic water so add a spoonful of bicarbonate of soda to the water to make it slightly alkaline. I also add the bicarbonate of soda to the dye water. Then I mordant the yarn. This is a step you could skip at home as onion skins produce tanin which acts as a natural mordant. However, as I’m dyeing to sell, rather than my own use, and I want to make sure the colour really lasts, I use alum at around 7-8%. This means 7-8 grams of mordant to 100g of yarn. Once your yarn is thoroughly wetted, add it to the dye mixture in the dye pan and gently heat again and leave to absorb for 24 hours. If you are using a non super wash yarn, be very careful about moving the yarn about in the warm water as it might felt. You can be more confident once the water has cooled again. You might need to repeat this process a few times to get a good colour. Bear in mind a goodly amount of the colour might run out when you rinse. Once you are happy with the colour on the yarn, rinse in cool water and leave to dry out of direct sunlight. Then enjoy your natural colour!